AiduAction | After work apro for Jane! After work apro for Jane! We are organizing an after work apro at Grace Restaurant & Lounge in Basel to raise a scholarship for Jane! Jane is a young Kenyan girl who wants to improve farming conditions in her country, while promoting job access to young people living in difficult conditions. Despite being very bright an innovative, Jane comes from a single parent family, and her mother doesn't have the means to finance her secondary school fees. 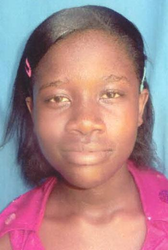 Help us to send Jane back to school and let's change one more life!